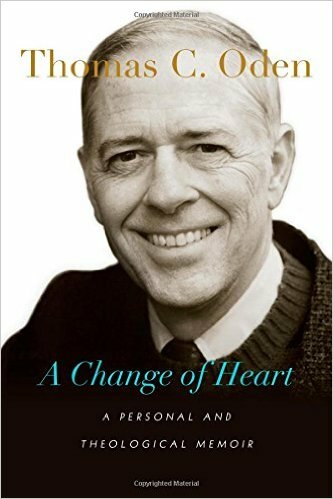 Thomas C. Oden wrote A Change of Heart, a theological memoir of how as a thinker he made the journey from a Protestant Liberal to a truly evangelical and broadly ecumenical man of faith. “I loved heresy…But the Holy Spirit found me,” so said Methodist theologian Thomas C. Oden (1931-2016), who died December 8, 2016. Thomas Oden had grown up in the world of mainline Methodism, in the mid-20th century. He fully imbibed the liberal theology of his day, immersing himself in the writings of Rudolph Bultmann and Paul Tillich. He was a leading thinker and theological spokesperson for a radical redefinition of Christianity that swept through American mainline churches in the 1950s to 1960s. He had admired the Vietnamese Ho Chi Min as an agrarian patriot. But then he realized that he had been wrong. When Oden finally realized that the bodily resurrection of Jesus was something that he must believe and eventually did believe, in order to be a true Christian, it reoriented his life. He spent the second half of his life repudiating the hubris behind the very liberalism that nurtured him, and sought to build a case for a consensual model of Christian belief, looking to those early, classic church fathers for guidance. His change of heart was now to serve the church, and not to seek after the latest theological fad of academia. Oden never broke away from his modest, classically-informed Wesleyan theological leanings. He sought for reconciliation in the predestination and free-will debates that still divides Calvinists and Arminians. He eschewed debates over the age of the earth, charismatic gifts, the “proper” view of the millennium and the “End Times,” and other intramural discussions, in order to focus on the common vision of faith embodied in the early creeds of the church, like the Nicene Creed. As having read Thomas Oden’s Classic Christianity: A Systematic Theology, as the basic theology textbook in seminary, I can say that Oden was not as strong as an apologist or a textual Bible scholar, but these were not his gifts. 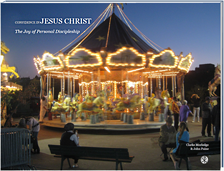 His gift was in drawing together the widest range of the greatest teachers in the historical Christian tradition, to give us a “big picture,” consensus view of what it means to believe as a faithful follower of Jesus: Classic Christianity at its finest!! Michael J. Kruger, at the Canon Fodder blog, offers some lessons learned from Thomas Oden. This entry was posted on Monday, December 12th, 2016 at 6:23 pm	and tagged with thomas oden and posted in Witnesses. You can follow any responses to this entry through the RSS 2.0 feed.